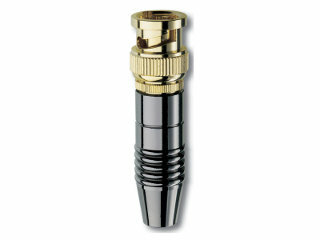 Enlarge Solid BNC plug with standard cable extension and soldered connection for easy fitting. With 24c gold-plated contacts. 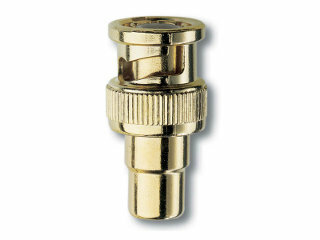 Enlarge 24c gold-plated adapter from BNC to RCA socket.